KATHMANDU, Dec 27: Senior leaders of various communist parties of Nepal on Monday held discussion on whether the use of force is essential or not in the growth of communist movement. KATHMANDU, Dec 27: Political parties have floated their own proposals to end the House deadlock during a meeting summoned by Speaker Onsari Gharti on Monday. KATHMANDU, Dec 26: The Judgment Execution Directorate at the Supreme Court has yet again asked Nepal Police to arrest CPN (Maoist Center) leader and former lawmaker Balkrishna Dhungel, who was convicted of murdering Ujjan Shrestha and was sentenced to jail by the apex court. 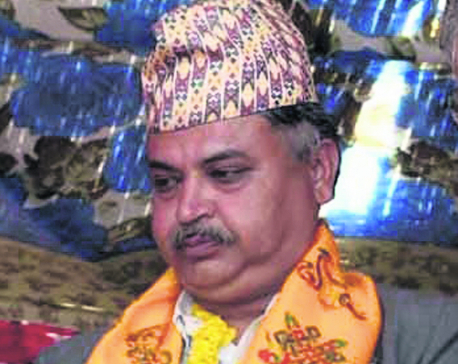 KATHMANDU, Dec 27: Over a year after Baburam Bhattarai quit the then UCPN (Maoist) to form his own Naya Shakti party, Bhattarai and CPN (Maoist Center) Chairman Pushpa Kamal Dahal talked about the need for unification between the two at a function in Kathmandu on Monday. 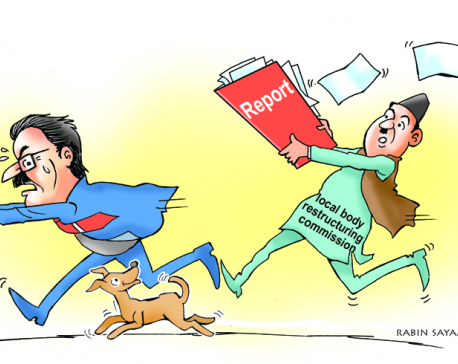 KATHMANDU, Dec 27: After Prime Minister Pushpa Kamal Dahal started avoiding a meeting with members of the commission formed to restructure local units, the commission sent a letter to him Monday, requesting a meeting to hand over its final report on local restructuring under the federal system. KATHMANDU, Dec 27: While concluding that election is not possible without addressing the genuine demands of the agitating Madhes-based parties, Nepali Congress (NC) has decided to take ahead the local election process and constitution amendment simultaneously. KATHMANDU, Dec 26: The meeting of the seven political parties held at the call of Speaker Onsari Gharti failed to forge consensus on the measures to clear the political deadlock after the parties did not budge from their respective positions. 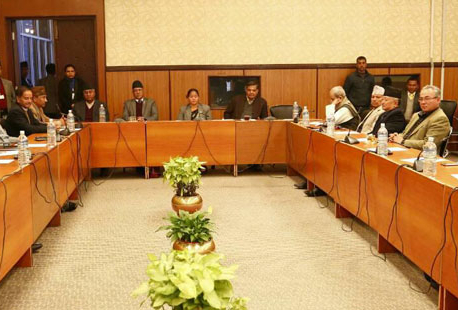 DANG, Dec 26: The CPN (Maoist Center) Province-5 committee has come up with a new proposal on delineation of the provinces at a time when the opposition parties including the main opposition, CPN (UML), are waging a protest movement against the provision in the constitution amendment bill. KATHMANDU, Dec 26: A meeting of seven political parties summoned by Speaker Onsari Gharti Magar has started at parliament building New Baneshwor on Monday afternoon. 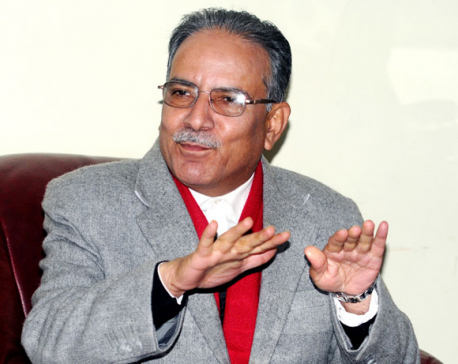 KATHMANDU, Dec 26: Prime Minister Pushpa Kamal Dahal 'Prachanda' has said that conspiracies were being hatched to overturn the achievements of the People's Movement and the People's War.